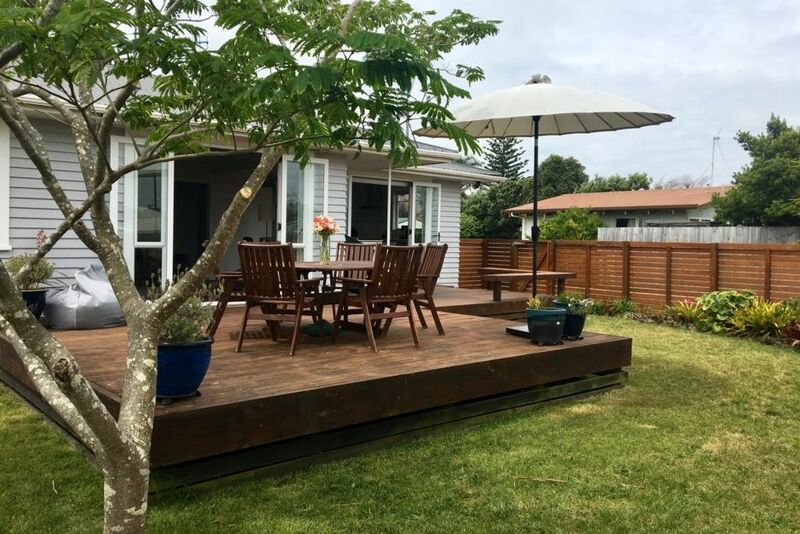 This fantastic home is ideal for a family with its open-planned kitchen and lounge which flow out onto a sunny and private fully fenced front section. The huge deck is perfect for BBQs or sitting out on the bean bags and enjoying the sun. A great location with the beach access running down the side of the house and Baywave swimming pools, Bayfair, parks and supermarkets less than 10 minutes walk away.